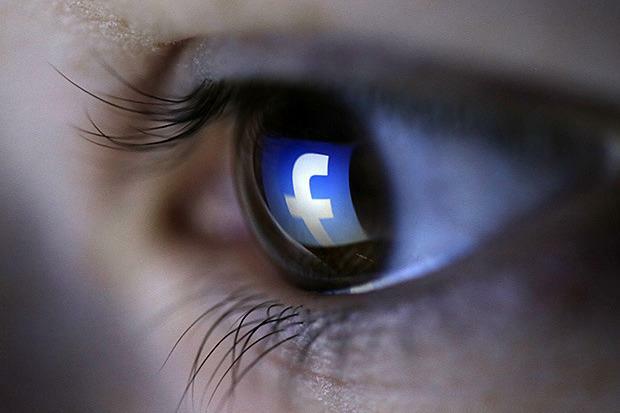 Can Facebook retain its appeal for marketers? Digitally agile marketers are hungrier than ever to connect with customers on social. And with a profit of over $US1 billion last quarter and over 1.59 billion users worldwide, Facebook remains an attractive and lucrative marketing tool. But will the social media giant continue to lead the way as the social platform of choice? Branding, social media and marketing experts debate whether Facebook can continue to reign supreme, or whether new and rising social media players will take over. According to Rolfe, marketers are increasingly exploring social channels beyond Facebook, and as the first mover and the dominant player in the space, he says this is to be expected. Managing director of Rakuten Marketing’s Australian managing director, Anthony Capano, notes that with Instagram and Pinterest now offering advertising opportunities for marketers, social ad budgets are shifting to take advantage of new platforms. With over five billion Facebook posts made each second, Capano says it’s becoming increasingly difficult for advertisers to generate positive results through the platform based purely on organic content. “My first suggestion is to implement tailored ad strategies that create compelling and relevant experiences in order to generate positive ROI and a successful campaign,” he says. “Consider leveraging a variety of ad types such as personalised dynamic product ads, video ads, multi-product ads and link ads. Despite these concerns, PoweredLocal CEO, Michael Jankie, believes Facebook marketing is more powerful than ever and here to stay. The Wi-Fi provider’s leader notes the ‘check-in’ functionality, which is a valuable yet immeasurable form of advertising. “It shows up in the news feed, it’s personal, it’s trustworthy, it’s a referral,” he says. “This means a shift back to bricks-and-mortar for advertising-led sales. This also means that mum and dad businesses, cafes and gyms can embrace local marketing at a very low cost. According to Jankie, if the shift in Facebook Australia’s account management procedures is anything to go by, companies are actually spending more and more on its social marketing functions in Australia than ever before. “Even small accounts have shifted from $1k to $10k a month to now cap out at $100k a month,” he claims. “The honeymoon era of advertising is over for larger companies, but it’s the age of social media enlightenment for SMBs. I think the buyers and sellers community groups and general community groups on Facebook are a goldmine. Tactical PR director, Hannah Moreno, says increased functionality of the social media platform will continue to keep Facebook at the forefront of marketer’s social strategies. “Facebook Instant Articles will be made available to any publisher, large or small in April this year,” she says. “It allows publishers to post stories directly to Facebook, which are more interactive, faster to load, and already optimised for mobile. While it’s only available to certain larger media outlets at the moment, this will change in April when any publisher, large or small, will be able to sign up. Moreno claims a number of marketers will be looking forward to jumping onto this new feature and experiment with its greater interactivity, faster loading times, and instant mobile optimisation. “This is likely to increase the need for marketers to create or outsource engaging, relevant, and on-message content, which could in turn drive the need for an even greater level of integration between marketing and communications or public relations functions,” she adds. But with Facebook becoming ever more crowded with marketers fighting for brand visibility and organic reach, Moreno warns it will only be those who share quality content of relevance and interest to their target demographics who will achieve results from this tactic. CMO of beauty subscription service bellabox, Stephanie Michel, says while Facebook has great functionalities to bring new opportunities to brands, focusing too much on its capabilities means potentially missing out on key influencers across other platforms. Michel says bellabox sees Facebook as a strong ROI channel, but actually prefers investing its budget in other platforms when it comes to more branding and aspirational campaigns. In the short term, VP of performance marketing for creative printing service Redbubble, Seth Berman, expects Facebook and Instagram will continue to dominate. At the same time, Snapchat is quickly emerging as a preferred social media channel for teens and Berman predicts it will become mainstream in 2017. For Berman, Facebook’s recently introduced new targeting capabilities for reaching users organically means it's still a place to build a brand and reach a wide audience. “Facebook is not losing its marketing appeal at all,” he says. “While Snapchat is slowly developing advertising capabilities, and marketers are starting to experiment with both unpaid and paid approaches there, it still has a while to go before it is a channel that can drive the type of results that Facebook does. At Redbubble, Berman says the brand continuously experiments to find the types of content that works for each channel. “It varies by channel, and even varies within channels over time,” he says. “You need to develop social-first campaigns that are authentic and unique to your brand.